The US speedskating team blamed their disappointing results in this past week’s Sochi Olympics on the adoption of new Under Armour high tech suits. The suits were supposed to give the American skaters a technical advantage, but many team members felt the new design was causing drag and holding them back. In the midst of competition, the team switched back to a previous suit…yet the results were no better. While it’s true that equipment can often give an athlete a split-second advantage, it’s also true that the most important “equipment” an athlete has is their mindset. Once the US team began to question their suits, they lost the mental focus necessary to win. It turns out the times of athletes like two-time Olympic medalist Shani Davis were actually improved from previous finishes–regardless of the suits. But the times of those speedskaters who medaled in Sochi were even faster than Davis. Sometimes you lose because someone performed better than you did. It has nothing to do with the suit. 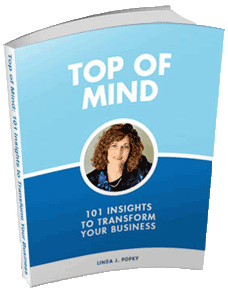 Use The Force Workshop: Leverage Marketing Gravity to Build Your Consulting Practice. April 8. Learn More. 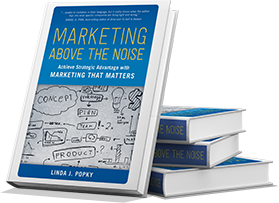 This entry was posted in Top of Mind Thursday Memo and tagged Leverage2Market, Leverage2Market Associates, Linda Popky, marketing, marketing strategy, marketing success, Top of Mind Thursday. Bookmark the permalink.